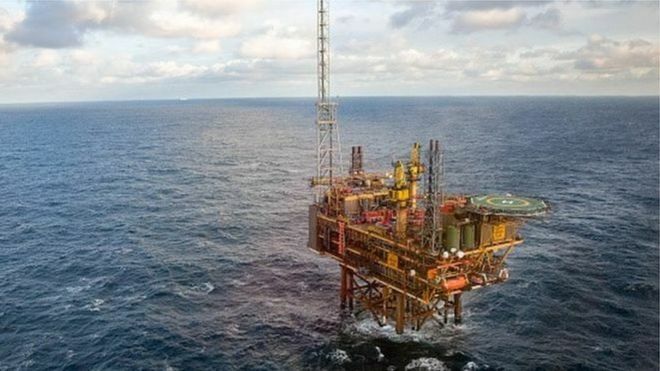 Offshore trade unions intend to serve North Sea employers with strike ballot notices in the coming weeks with no sign of talks on the horizon, it is understood. John Boland, regional officer at Unite, said no negotiations had been held with the Offshore Contractors Association (OCA) since workers rejected a pay deal last month. Amec Foster Wheeler, Petrofac and Wood Group PSN, declined to comment. If you work offshore and are employed by one of the offshore OCA contracting companies, it is time to join Unite the Union, as we prepare for the the Industrial action ballot all Unite members have been and will be directly contacted by Unite on any updates in the dispute. The 28th April is International Workers’ Memorial Day the day each year when workers come together and remember those who have been killed and injured at work. The slogan for the day is “remember the dead – fight for the living”. If you are a Unite member and an offshore safety rep, Get Active, Get Organised and recruit more members into your trade union Unite Health & Safety courses are open to members. Sadly, it is all too likely that know someone who has died at work, has been injured in the workplace or is suffering from an occupational disease. This year Unite are highlighting the message that an organised workplace is a safe workplace, while also recognising the vital work of Unite safety reps in ensuring that their fellow workers are safe at work. Time: Assemble at 10:30am for an event lasting approximately one hour. Confirmed speakers: Mary Bousted (general secretary of ATL and TUC president), Gail Cartmail (acting general secretary Unite the union), Gunde Odgaard (general secretary for the Danish building trades), Peter Kavanagh, regional secretary Unite London and Eastern Region. In addition there will be speakers from two safety campaign organisations. Followed by wreath laying and release of black balloons. Speakers include: Tracey Seward, Families Against Corporate Killers, Debbie Abrahams MP, shadow secretary of state for work and pensions, Andy Burnham MP Labour mayoral candidate. Event will include two minute silence, wreath laying and speeches. Free hot drinks. Portsmouth Trade Council is organising the event. There will be a minutes silence at noon followed by the laying of flowers and speakers. The Offshore Co-ordinating Group (OCG) is today publishing a new report, ‘Safety Critical Offshore Workers in the UK Oil and Gas Sector: Hours, Shifts and Schedules’, commissioned from the Scottish Centre for Employment Research (SCER), Strathclyde University. The report draws on current research evidence to consider the implications for health, safety and wellbeing of a change from two weeks offshore, two weeks onshore (2/2) to three weeks offshore/onshore (3/3) working schedules. • identifies a number of areas of health and safety concern that could be ‘particularly problematic’ in a three week tour offshore including fatigue, increased potential of severe accidents, excess overtime, older installations and mid-shift changes in rotation (e.g. switching from day-to-night shift from night-to-day shift). “This OCG commissioned this report in response to the widespread concern of the offshore workforce over the imposition of new working patterns and the possible impact on safety and safety culture as a result of the current economic downturn in the North Sea. The report provides a sober and detailed assessment of the potential impact on individual workers and offshore safety regimes of the move towards 3/3 working. Its findings suggest that workers’ concerns are more than justified and that operators must now cease implementation of 3/3 schedules in order that legitimate concerns can be properly addressed by all relevant authorities. “Government at all levels and regulatory agencies must pressure operators to stop using these potentially dangerous new working patterns and fund additional research into their impact on health, safety and wellbeing”. “The OCG strongly believes that offshore workers, or indeed workers in any safety critical occupation, should not be forced to work 21 straight days of 12 hours shifts. However too many operators have taken advantage of the turbulence caused by the falling oil price to implement these very work schedules. This report strongly suggests that the industry as a whole needs to urgently address the safety implications of 3/3 working before real damage is done”. Energy giant Royal Dutch Shell is to use the world’s largest vessel to decommission its iconic Brent field in the North Sea. Energy Voice travelled to Rotterdam to get a behind the scenes look at the ship ahead of the record breaking 24,000 ton lift of the Brent Delta topside this summer. Created as both a heavy lift and a pipeline laying machine, the behemoth ship is nearly 400 metres long and more than 100 metres wide. Using a state of the art dynamic positioning system and 16 custom built lift beams, it can position a defunct oil platform between its two hulls and jack it up off its legs in a day’s work. It was created by Allseas, a Swiss based pipeline shipping contractor and cost around $3 billion to make. As well as its heavy lift capabilities a large structure known as ‘the stinger’ cab be attached to help lower pipeline safely to the seabed. The aft deck also features a pipeline fabrication factory, where 12metre pipes are welded into sections. The Pioneering Spirit is captained by Fred Regtop. It has accommodation for nearly 600 crew as well as boasting some more unusual features such as a ‘karaoke room’. The hulls displace almost 900,000 tons of water – giving it the edge over longer hulled ships who have tried to claim the ‘world’s biggest ship’ title. The managing director of a scaffolding business who has lost workers to the oil and gas industry has hit back at claims former offshore workers are now being unfairly blacklisted. BBC Scotland revealed on Monday that an MSP had passed concerns about the practice to the UK government. One oil worker said companies would not hire him because they believed he would quit if the oil price rose again. William Dore of MJD and Sons said companies were tired of losing workers. Mr Dore, managing director of the Irvine-based firm in Ayrshire, told the BBC Scotland news website: “I would imagine the real reason firms are reluctant to employ former offshore workers is because they are sick of employees leaving without providing any notice whatsoever, as soon as an opportunity offshore arises. “I have been an employer in the construction industry for 34 years. During this time we have lost scores of workers to the oil rigs, many of whom we have spent thousands of pounds training from scratch. “We cannot deny the right of anyone to increase their earnings, however the way these offshore companies work is unethical. He added: “We have had employees leave us in the middle of the day because they have received a call to go offshore; they have been told they need to go immediately or lose the opportunity. “These practices have had a profound effect on my business over the years; lost clients, profitability, job losses etc. Discrimination against former oil and gas workers by employers outside the industry is tantamount to blacklisting, a union earlier said. John Boland, from Unite, said such treatment of workers needed to be stopped. Aberdeenshire East MSP Gillian Martin wrote to UK Employment Minister Damian Hinds about the issue and it was passed to Department of Business, Energy and Industrial Strategy (BEIS). A BEIS spokesperson said: “The UK government is rightly proud of the oil and gas workers who have been on the frontline of an industry facing unprecedented challenges. “That’s why we published the Oil and Gas workforce plan and expanded the Talent Retention website to give workers greater access to new opportunities in more than 1,000 engineering and manufacturing companies. Deirdre Michie, Oil & Gas UK’s chief executive, said: “Our people are both skilled and experienced and have much to offer other sectors and employers across the UK. Thousands of people have lost their jobs since the oil downturn began. Tycoon Jim Ratcliffe has a stranglehold over Scotland’s oil industry Ratcliffe now has massive influence over the Government and the Scottish economy and Record View says he needs to be treated with caution. Oil tycoon Jim Ratcliffe just became one of the most powerful figures in Scottish industry. And if fears are correct, it will allow him to wield a great deal of power over the Scottish Government. That’s what one astonished insider made of the deal which makes Ineos the fourth largest petrochemical firm on the planet. This still has to be ratified by the UK Government, but Ineos have already popped the champagne corks. The scale of the stranglehold Ratcliffe will have on oil is not to be underestimated. He owns the Forties Pipeline System – sold by BP – with control over more than a million barrels a day. Grangemouth with a system that delivers close to 40 per cent of the UK’s North Sea oil and gas. This pro-fracking billionaire has already proved he’s not afraid of ruffling feathers. suspension of a shop steward. Ratcliffe now has massive influence over the Government and the Scottish economy. It’s essential that a deal of this magnitude is given the scrutiny it clearly deserves from the regulator and MPs. A man with his track record needs to be treated with caution. Alex Neil is probably not flavour of the month at SNP headquarters in Edinburgh right now. The former health secretary has been a thorn in the Government’s side since resigning from the Cabinet last year. He’s flouted the party line on Brexit, asked extremely awkward questions on the Public Audit Committee and kept his beady eye on the NHS. In short, he’s acted like an experienced backbencher should. And putting aside the internal SNP politics, there’s much food for thought to be found in the veteran nationalist’s discussion paper on the health service. fund the NHS will certainly be controversial – but it could also kick-start a long overdue discussion. Eventually Scots will have to decide what type of NHS they want and whether they are willing to pay for it. Big congratulations to Scottish Premiership star Georgios Sarris and his partner Maria. The happy couple have cause for double celebration after getting engaged within hours of their baby being born. The Hamilton Accies player proposed in the maternity ward by dressing daughter Nancy in an outfit with, “Marry my daddy?” on the front. It really was a labour of love. Scotland’s biggest offshore union has repeated its calls for transparency on jobs following the takeover of oil and gas operator Amec Foster Wheeler by Wood Group. On 13 March, Wood Group announced it was to buy out Amec Foster Wheeler in a deal worth £2.2 billion. Today (Wed 5 Apr) the company has been quoted in the media saying that is looking for ‘efficiencies’ and ‘synergies’ – but has still not told workers what its plans will mean in practice. For further information contact Unite Scotland press officer David Eyre on 07960 451631. Reminder to all Unite Members that the Offshore Coordinating Group Roadshows are taking place this week. 4th April 2017 – Premier Inn, George Sq, Glasgow 6pm – 8pm. 5th April 2017 – Queens Hotel, Dundee 6pm – 8pm. 6th April 2017 – Jury’s Inn, Aberdeen 1pm – 3pm. This is an opportunity to receive an update on the work of the Offshore Coordinating Group.